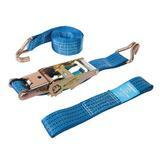 Durable polyester webbing and heavy-duty double-locking steel ratchet. 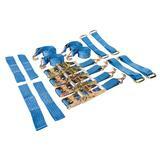 Reinforcement stitching around J-hooks and ratchet attachment for long service life. 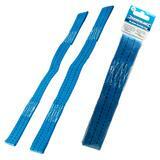 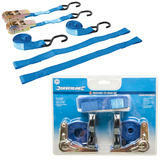 Secures cars on trailers and vans using heavy-duty ratchet tie down and sliding wheel choker strap. 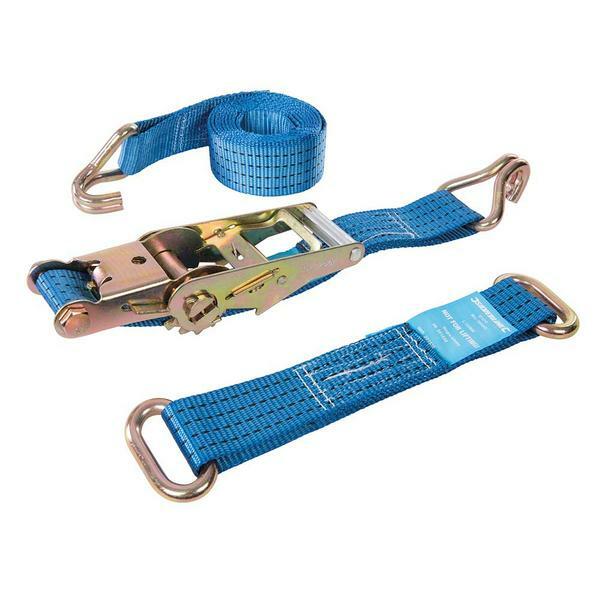 The double-locking ratchet ensures there is no risk of disengagement or loss of tension during use, until the handle is released. 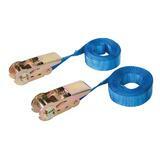 320mm wheel choker straps with steel rings, ideal for vehicles with steel wheels. 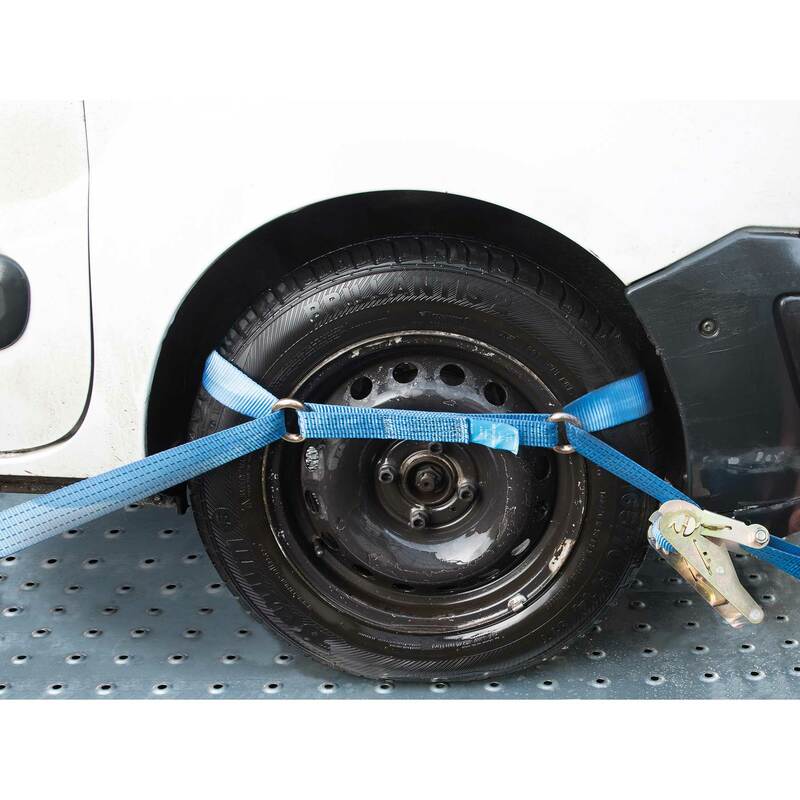 Set for one wheel includes 1 x 3m ratchet tie down and 1 x 320mm steel wheel choker strap.